The articles in this section are those which contain practical training advice. They are grouped according to Gundog Grade. 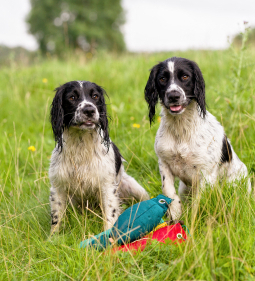 So, for example, in the Grade One training section, you will find information to help you learn the skills you will need to pass Grade One Gundog. Even if you have no desire to take the Grade One Test, these are the skills which form the foundation on which your future training will need to stand. Each grade in turn, builds on the skills learnt at the previous grade.